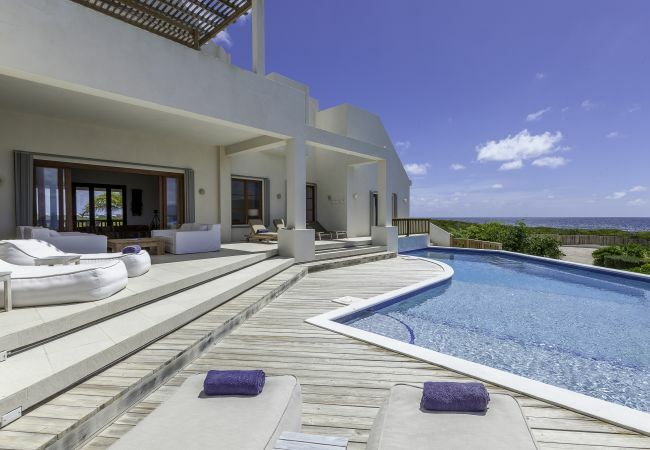 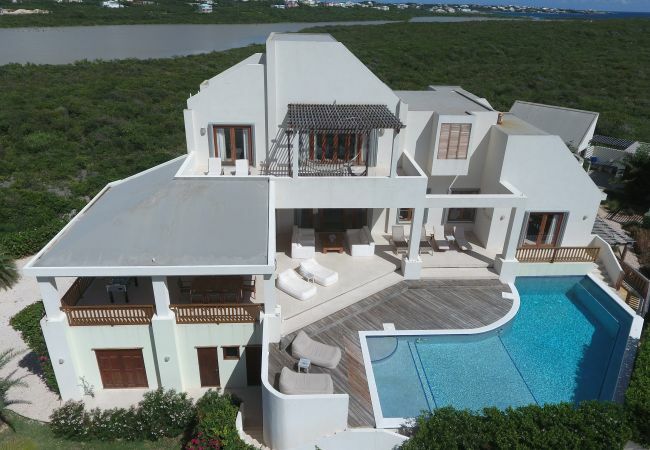 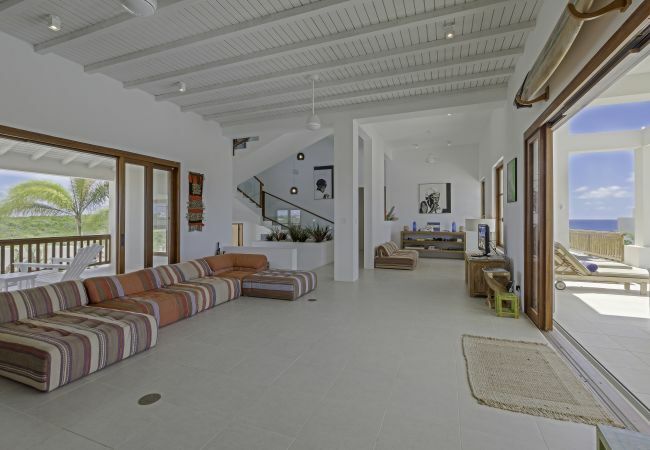 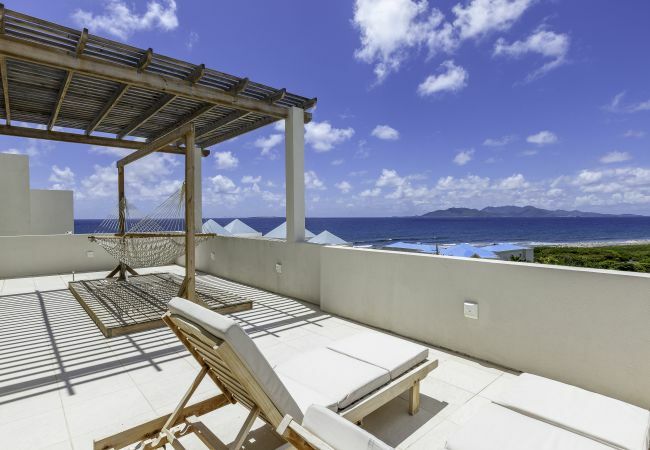 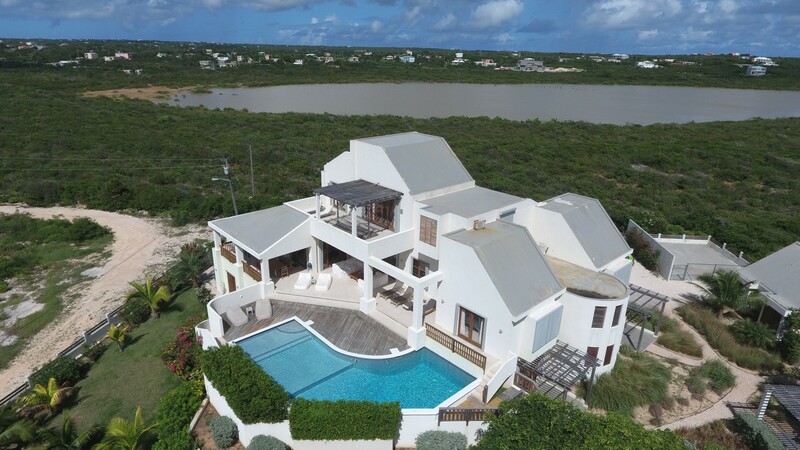 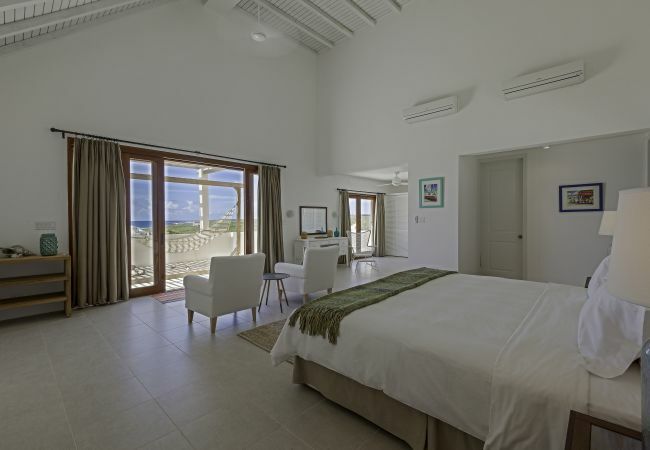 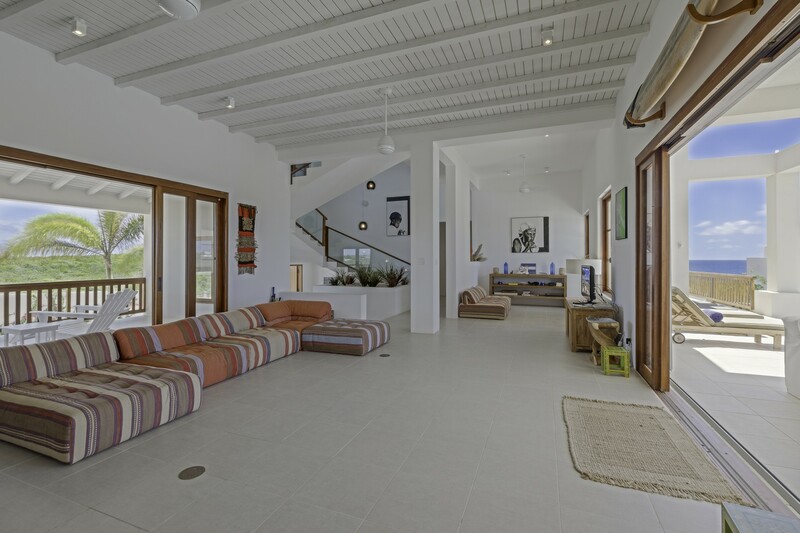 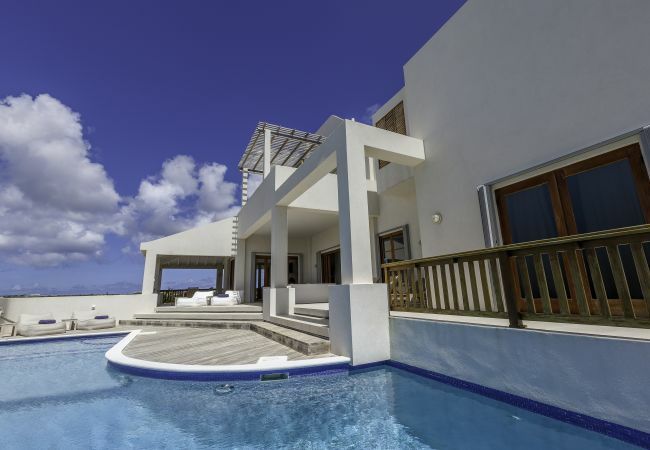 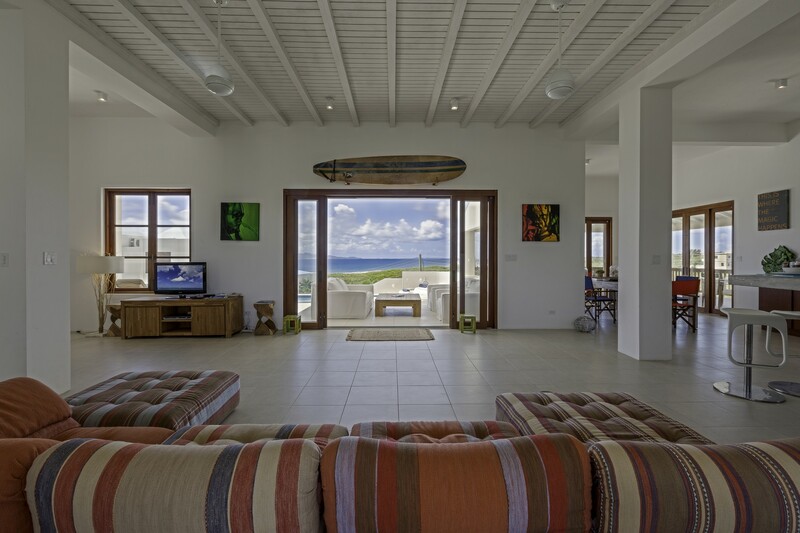 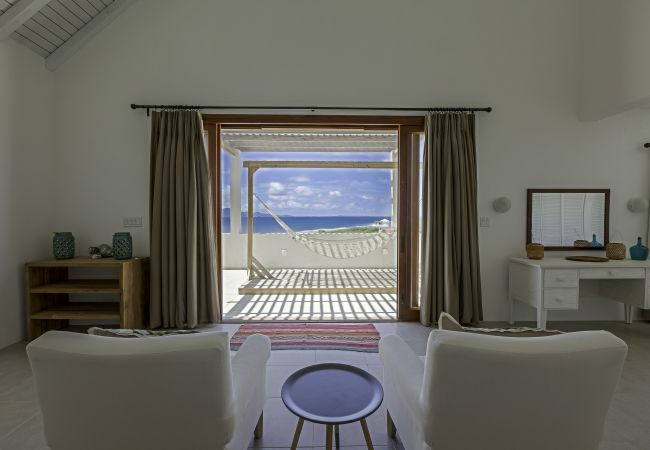 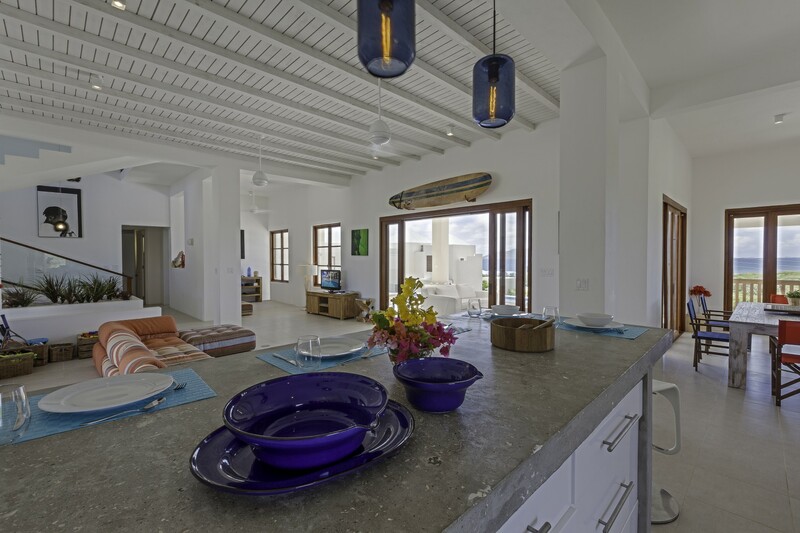 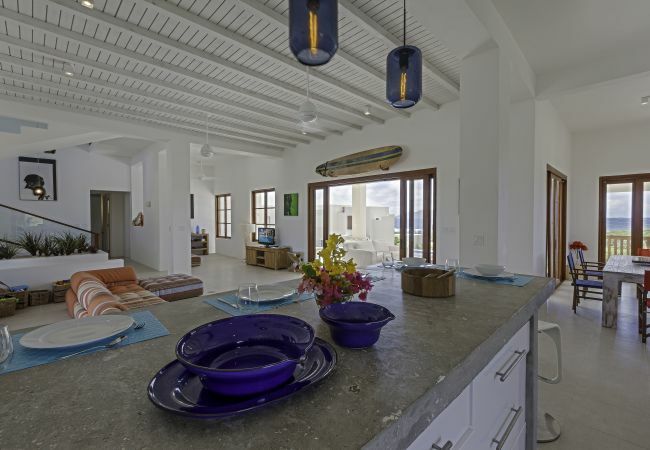 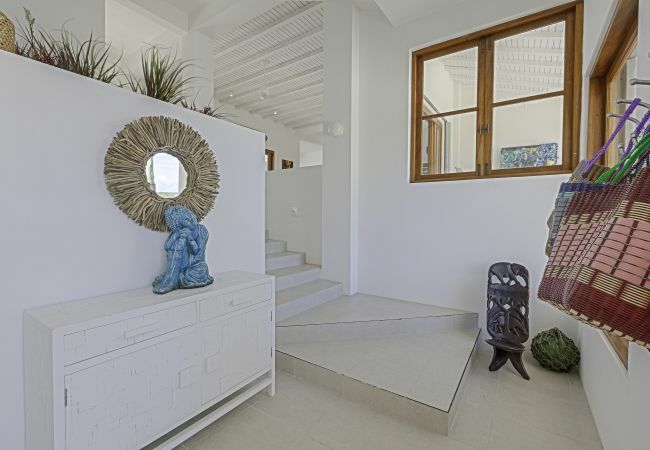 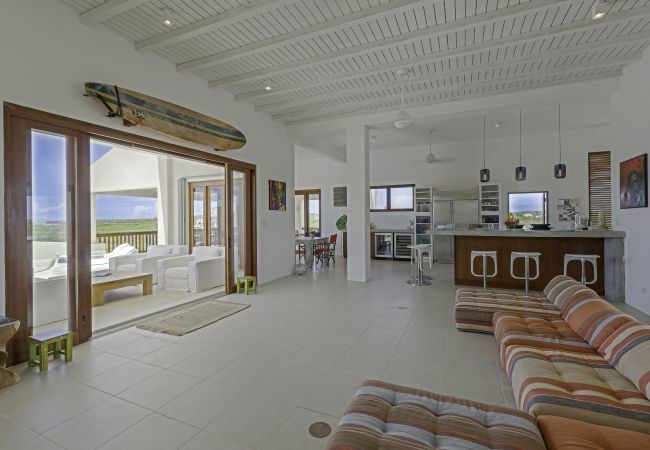 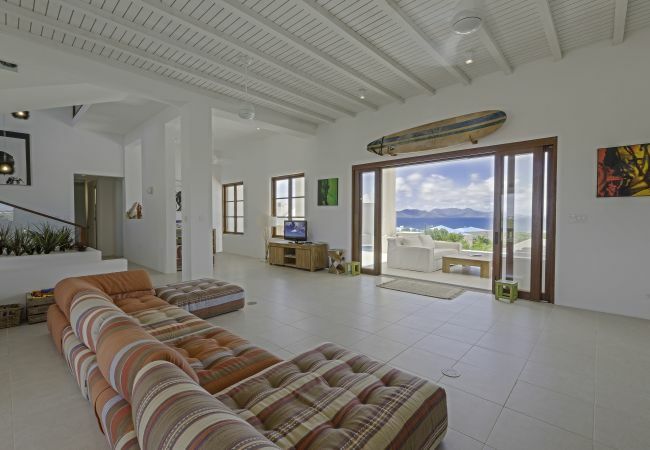 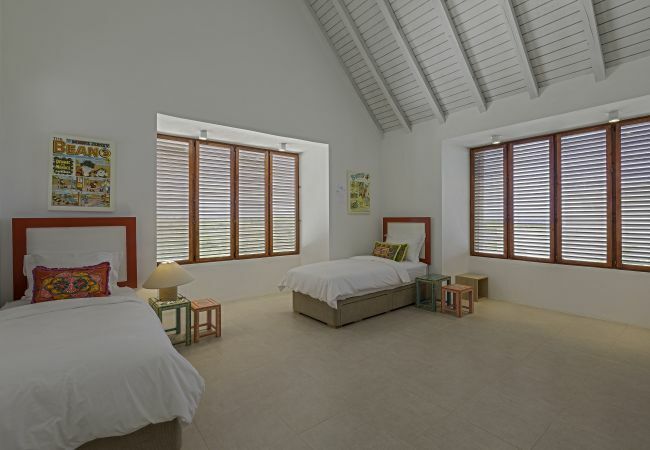 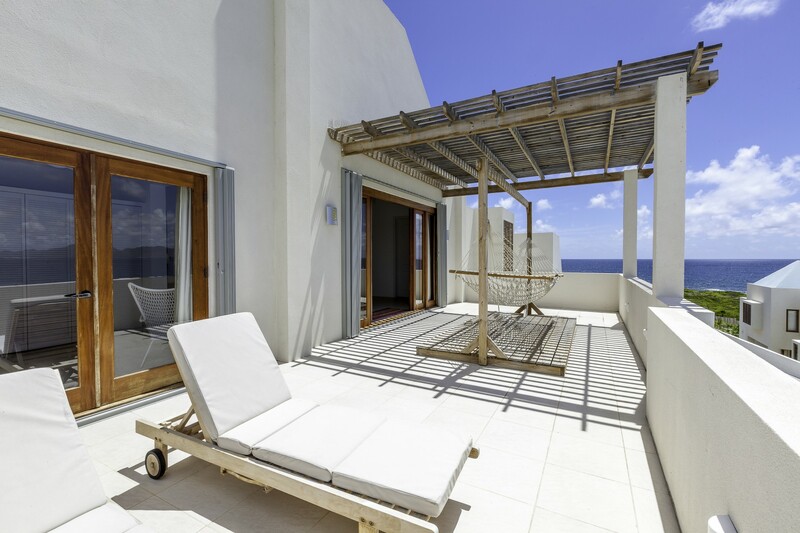 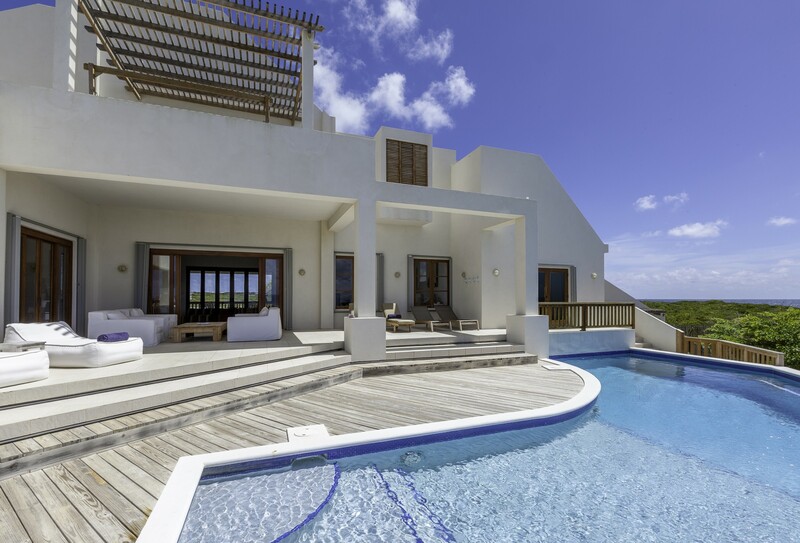 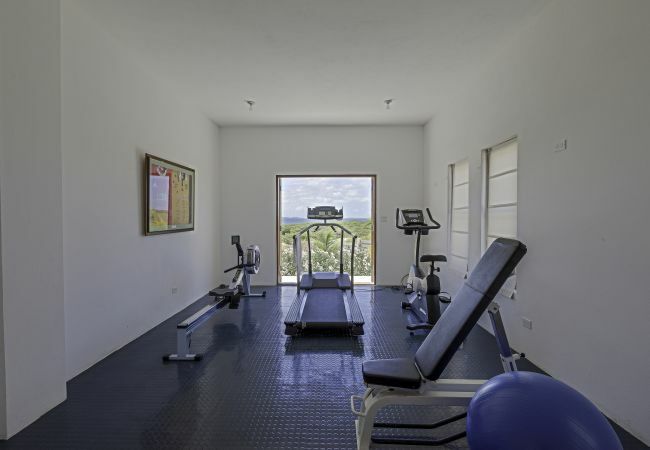 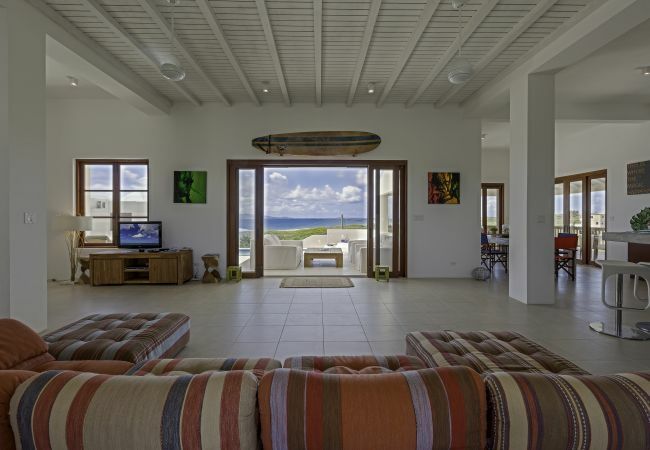 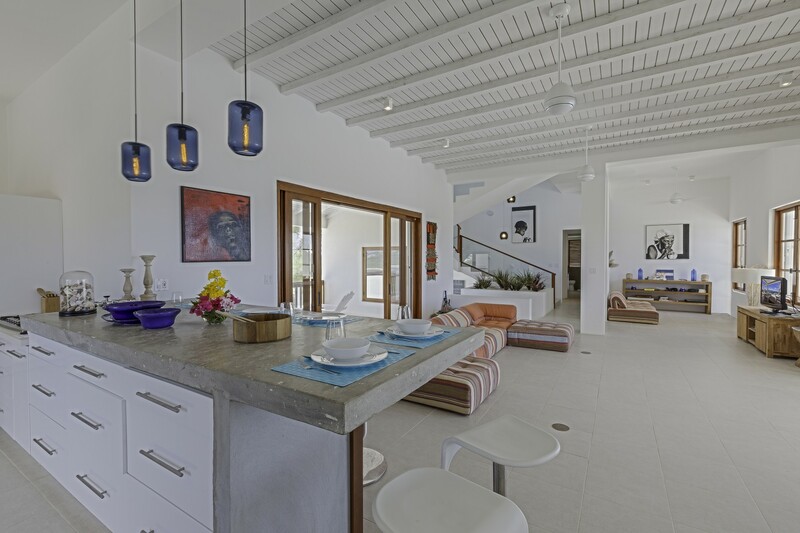 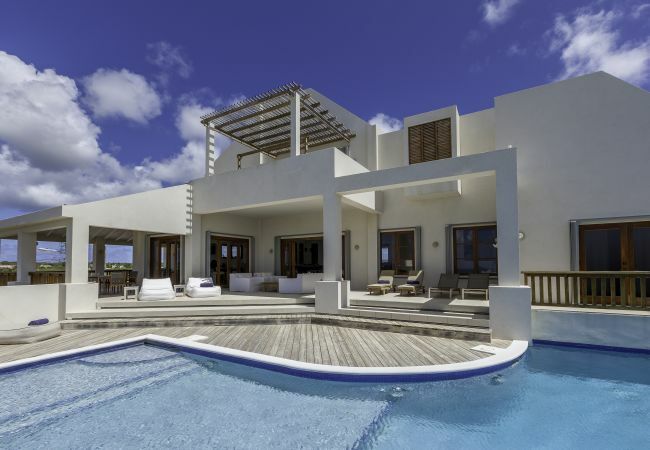 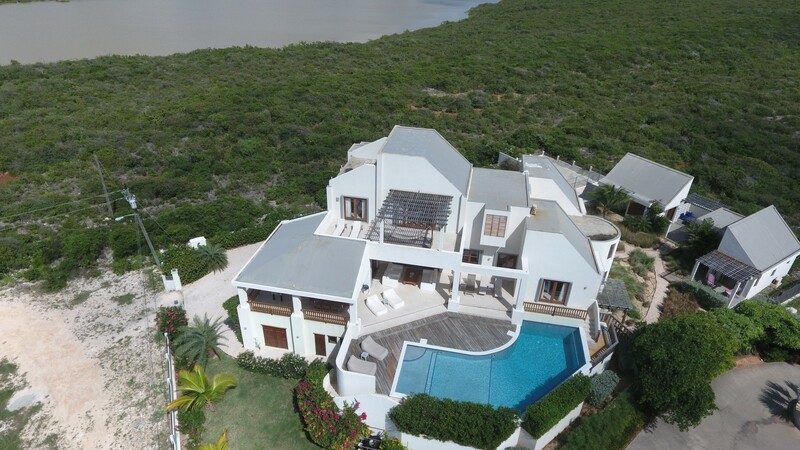 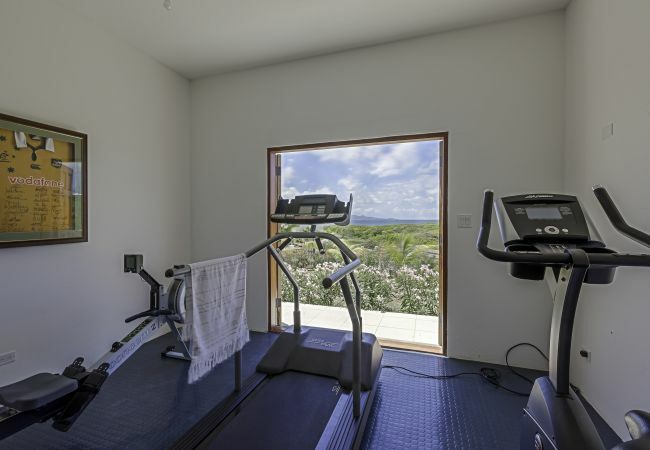 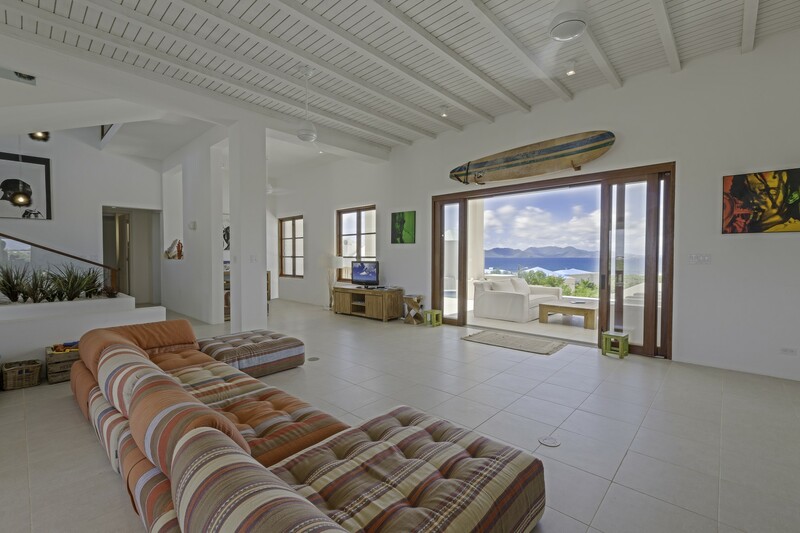 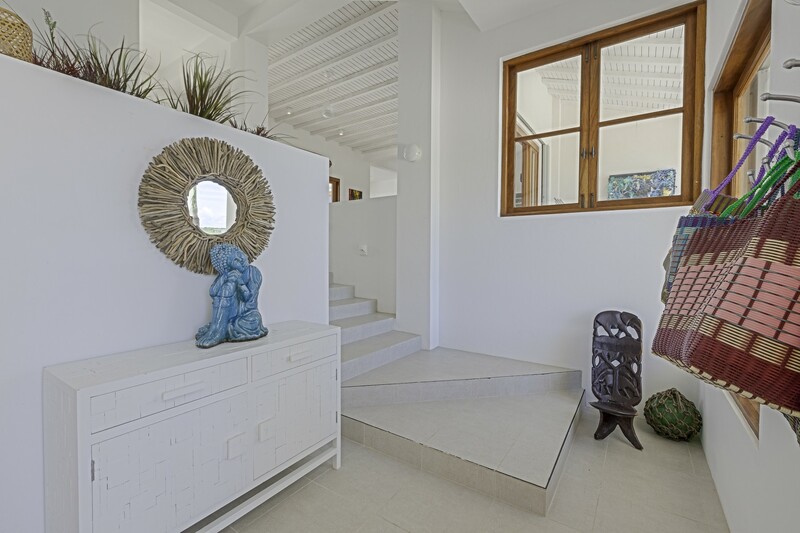 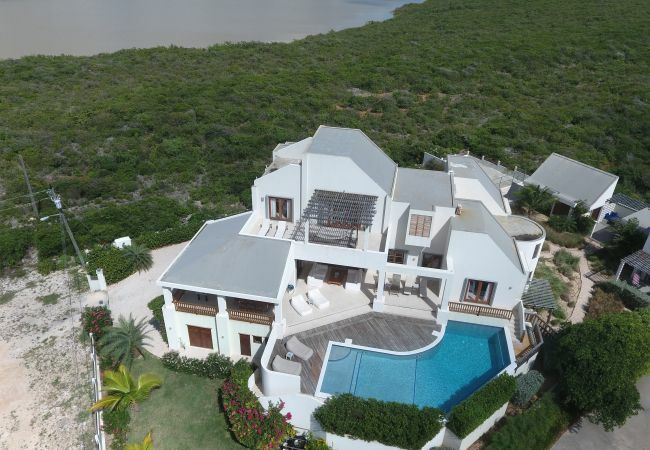 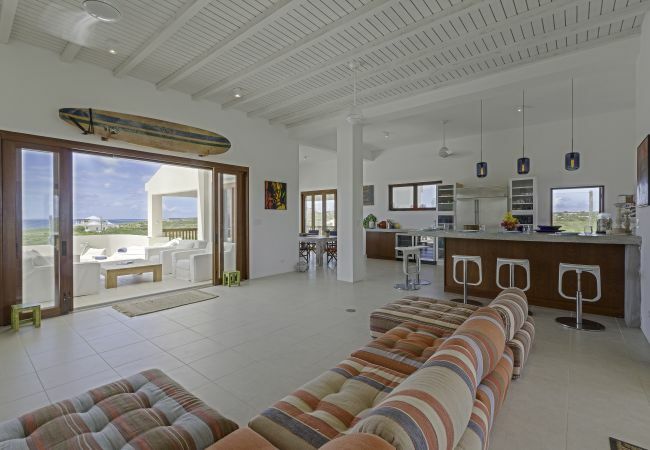 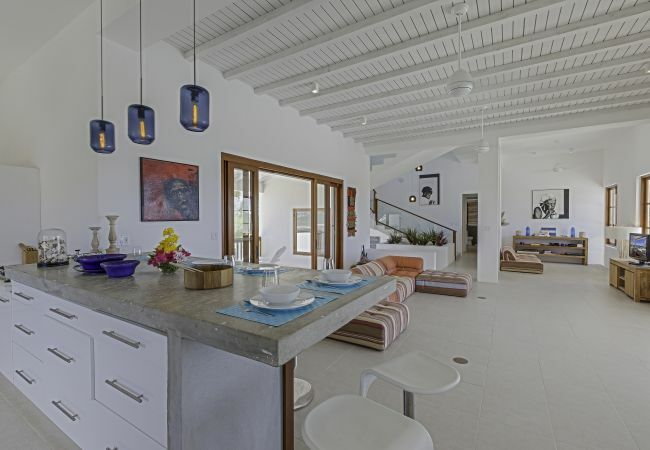 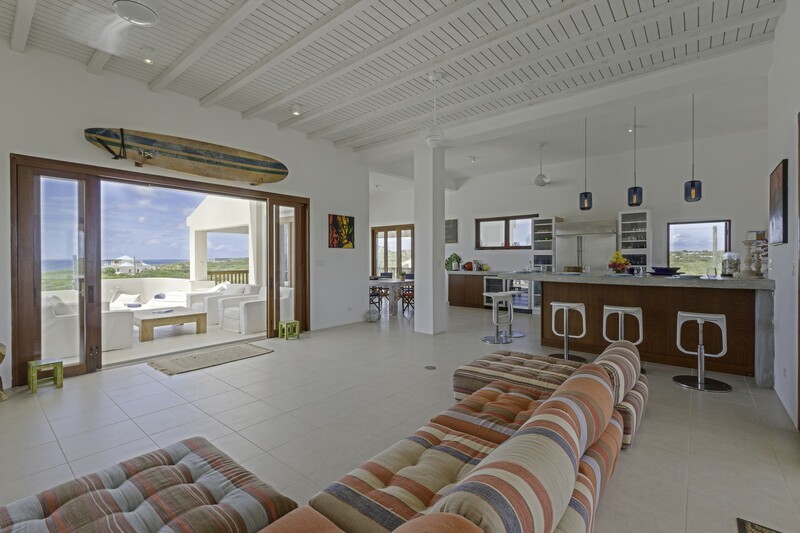 Colibri is a striking, spacious and contemporary villa situated on the Southern coast of Anguilla. 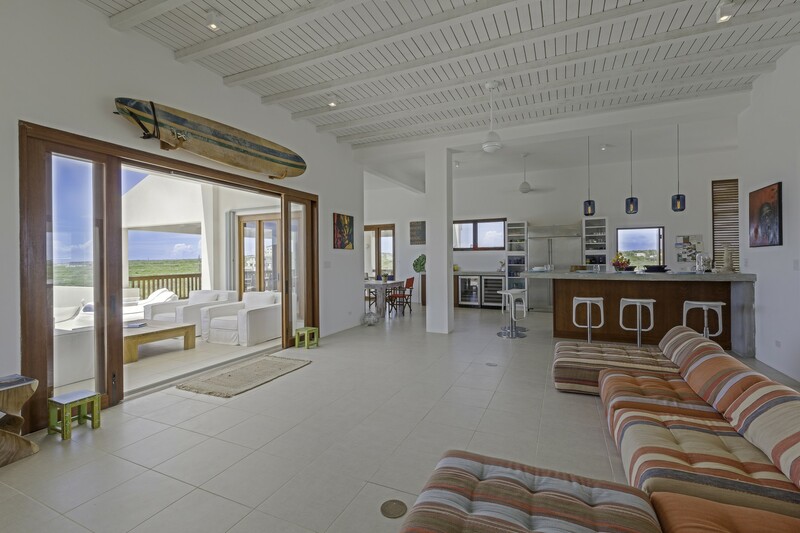 Five minutes’ drive from the half mile of beach at Sandy Hill Bay. 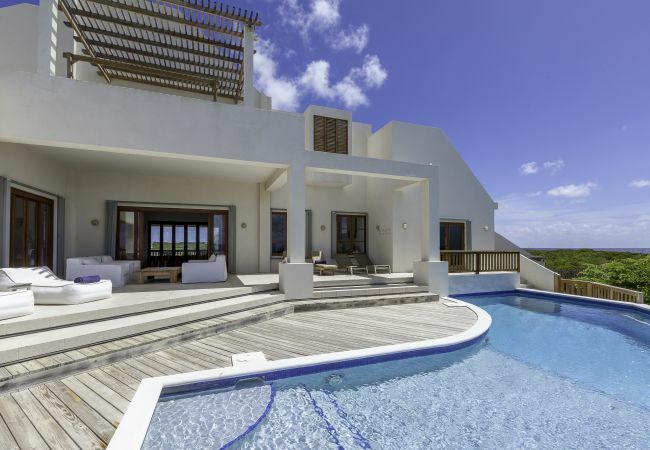 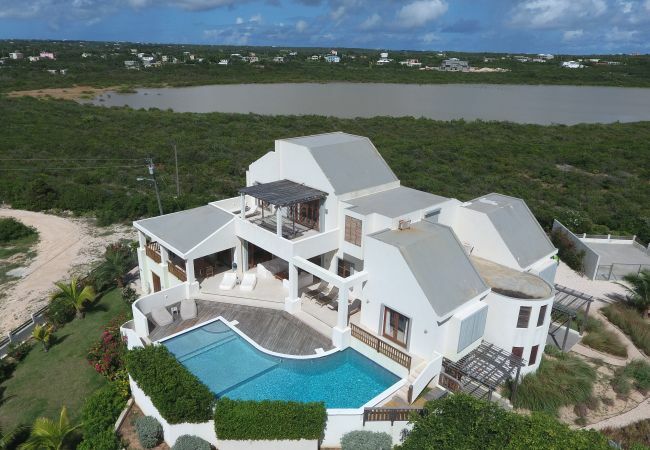 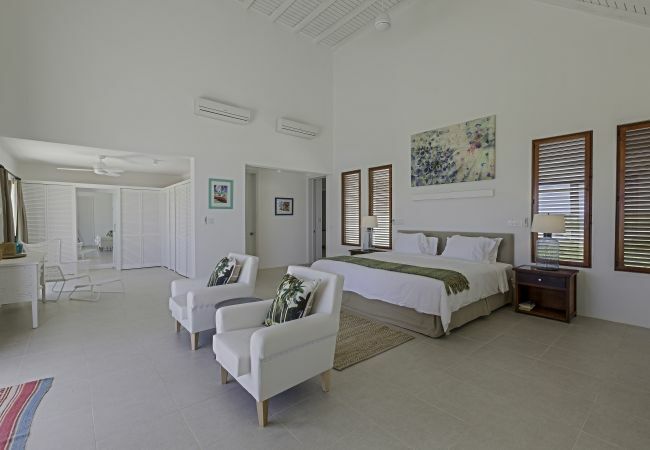 It's elevated position allows for the villa to benefit from the trade winds (assisted by the high ceilings throughout) and the stunning views of both Anguilla itself, and of the mountains of St Martin and St Barths and Statia. The luxurious and modern villa is designed for comfort and relaxation both inside and out; with interior and exterior dining and living areas. 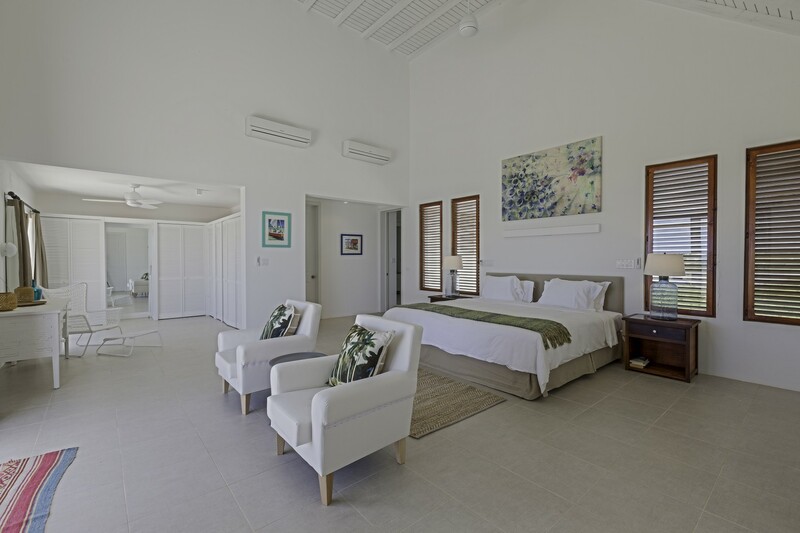 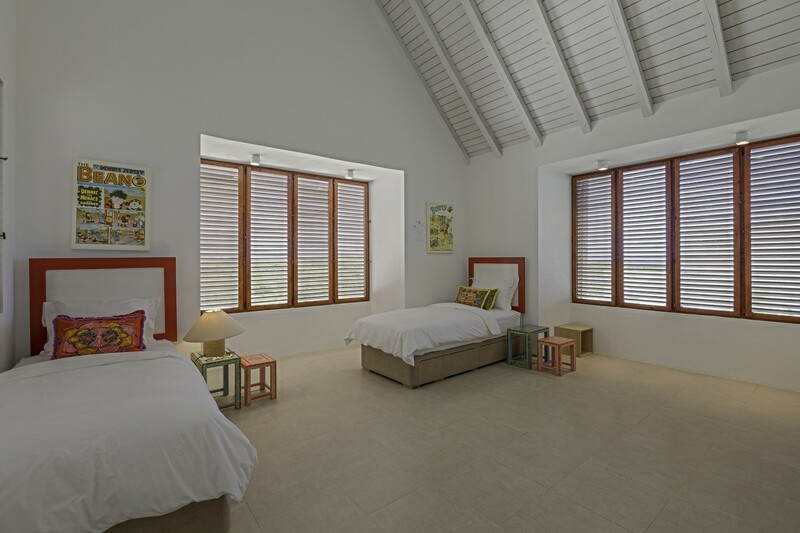 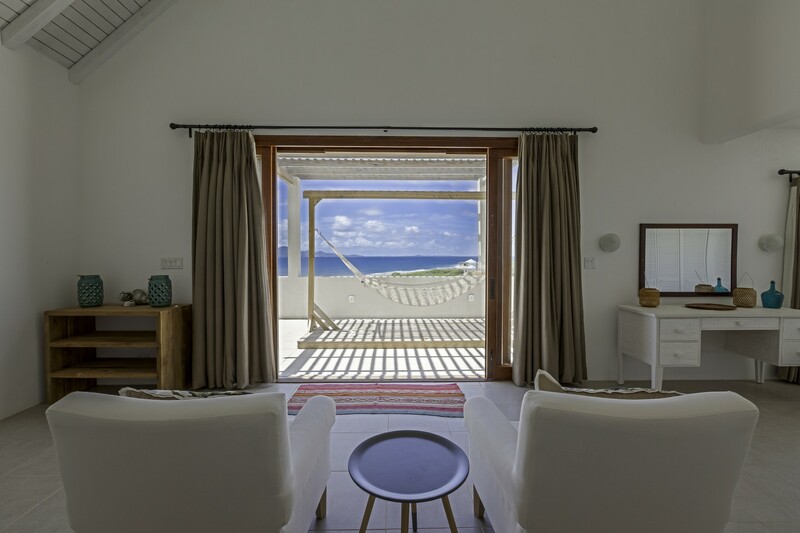 The interiors have an informal feel and furnishings include both designer and locally made bespoke furniture, Caribbean artwork, hammocks, relaxing loungers, deck chairs, comfortable beds and luxurious English bed linen. 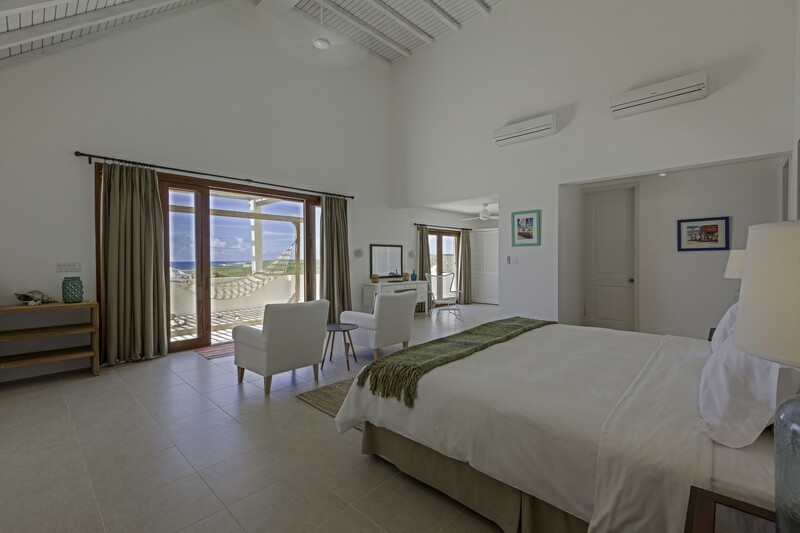 The expansive master bedroom at the top of the house offers stunning views with hammock and loungers on the terrace, a dressing room, bathroom with huge shower and standalone bath, separate toilet and large 7x7 master bed. 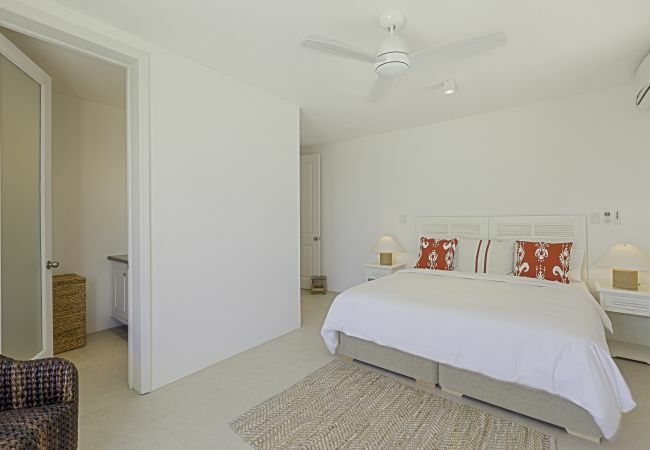 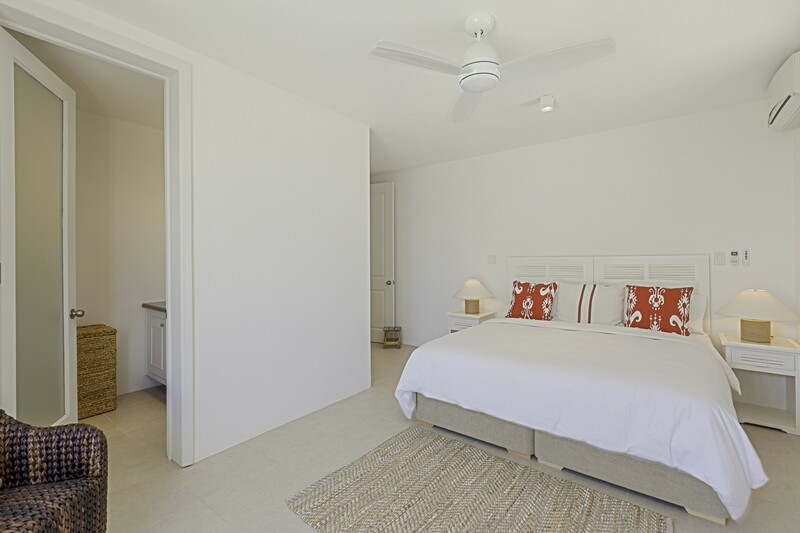 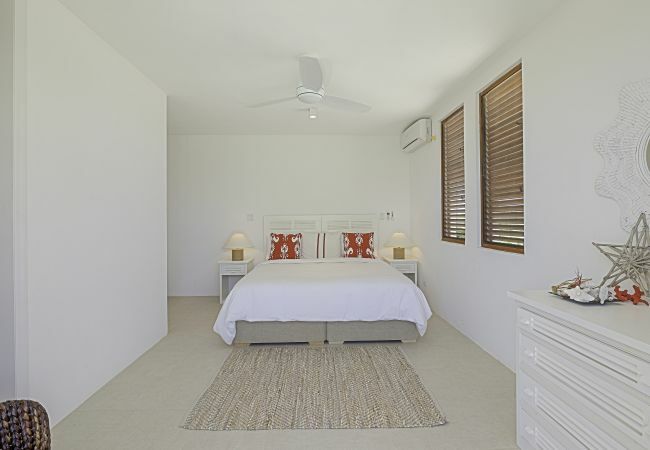 All bedrooms are ensuite and air-conditioned, and fans exist throughout the house. 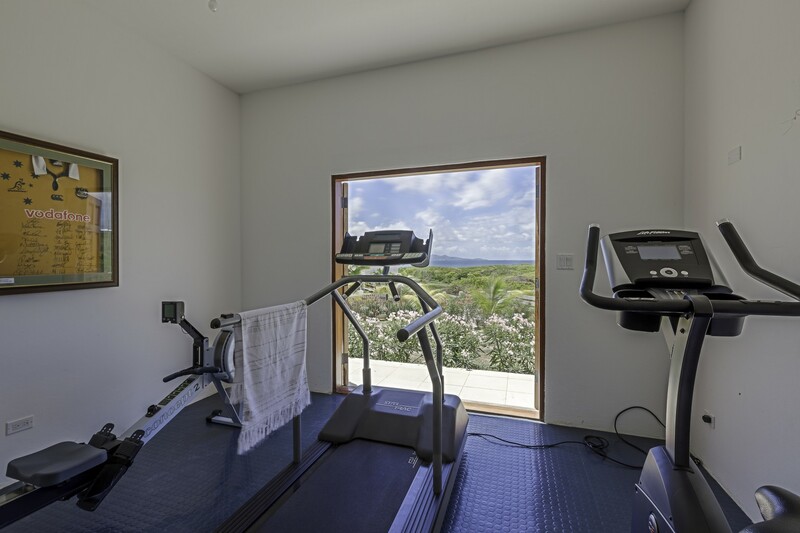 Other features include a cinema room with comfortable seating (and A/C), a games room with Table tennis table ( and A/c) and a separate gym with Treadmill, Bike, rower, and weights (and A/c). The 2 bedroom cottage consists of a kitchen/dining room and 2 ensuite bedrooms separated by a courtyard with outside dining area. 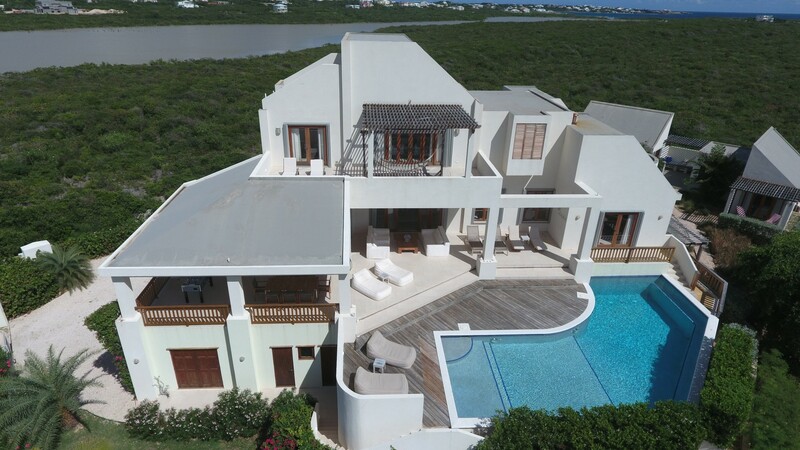 The English owners also have 3 small children so the house is also a perfect family villa - the pool has varying depths to accommodate everyone and there is a walled off and gated play area tucked away in the garden (useful for football or to play tennis against the wall). 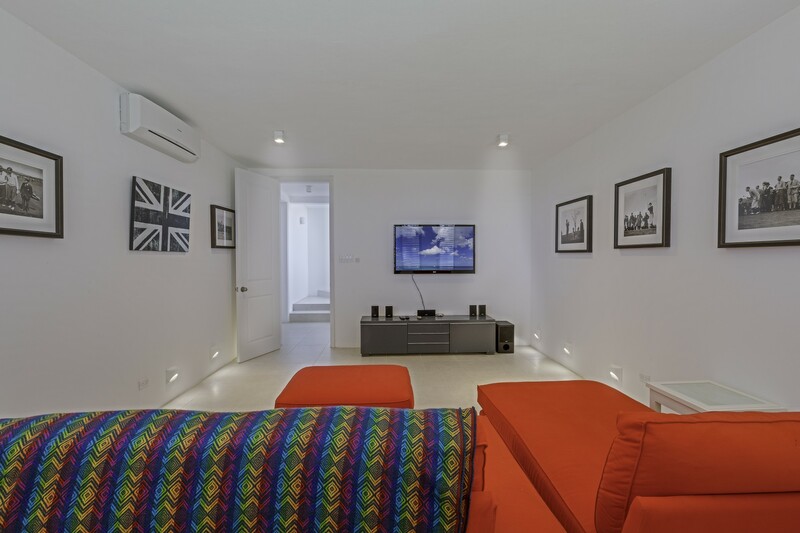 - TV, TV Satellite (Languages: English), Stereo, DVD, terrace, iron, hair dryer, balcony, gym / fitness centre, air-conditioned, private swimming pool, Open-air parking.